"The young bride, Lydia Carver, and her bridal party set sail from Freeport, Maine for the bride’s final gown fitting in Boston, Massachusetts on a chartered schooner in July of 1807. The voyage went as planned until the schooner encountered rough waters off the coast of Cape Elizabeth, Maine on its return to Freeport. Eventually, the sea took the schooner and the lives of most of the passengers including Lydia Carver. 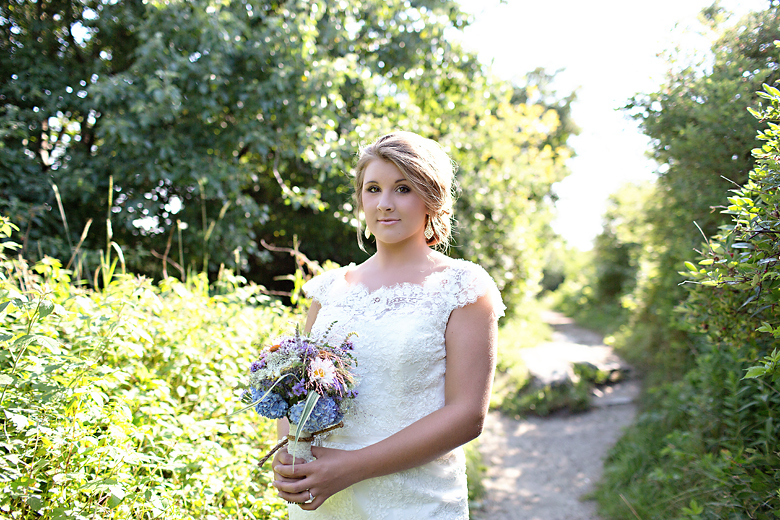 The story then goes on to explain Lydia’s body and wedding gown were found on the shores of a nearby beach the next morning. 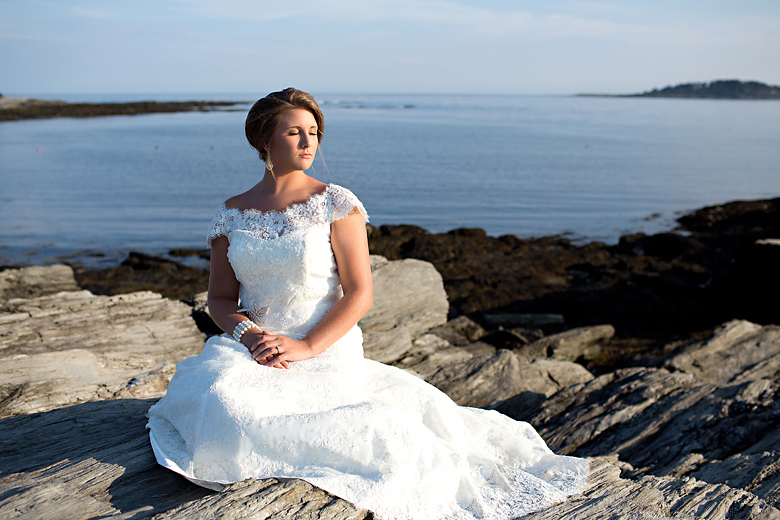 It is said Lydia has never left the beach and can still be seen wearing her white gown along the shores of Cape Elizabeth. She especially enjoys making her presence known to brides getting married at the inn, whose property borders the beach and the cemetery where Lydia’s body was laid to rest." Upon hearing the story of Lydia Carver, one can’t help but get goose bumps. 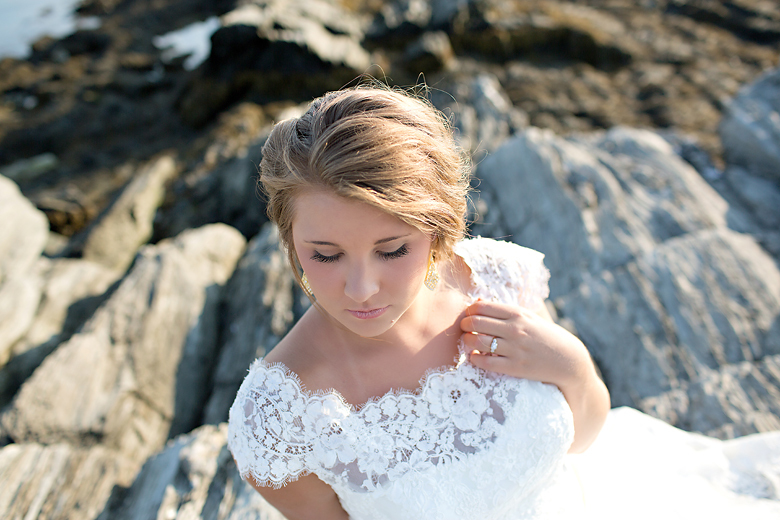 The story of Cape Elizabeth’s shipwrecked bride in white is the inspiration behind this styled wedding shoot. What if Lydia and her bridal party were able to swim to dry land, where they found themselves shipwrecked with only the ship’s cargo and the natural resources offered by Maine’s rocky sea coast? The tablescape was designed to give the illusion of being crafted from pieces of lumber from the dismantled schooner. Ghost chairs add a touch of eerie. 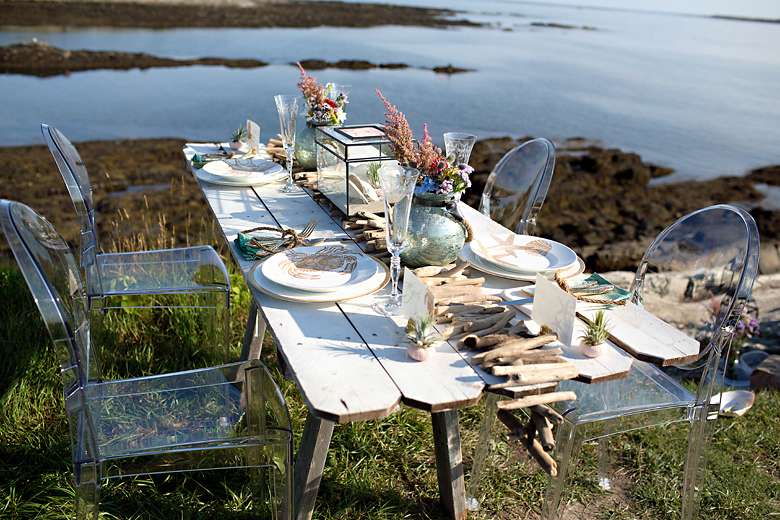 A garland of driftwood runs the center of the table with reminiscent sea glass buoy vessels holding native Maine wildflowers. The centerpiece is a sea life terrarium with rope forming the table number displayed inside the glass box. 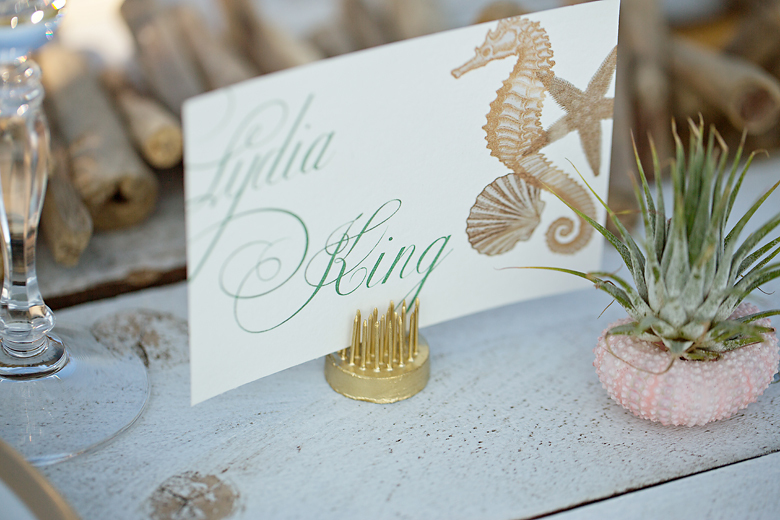 Place settings feature gold sea creature salad plates on gold rimmed dinner plates. Gold flatware tied with rope is arranged on sea glass color ombre dipped napkins. Etched wine glasses give the table an elegant feel. 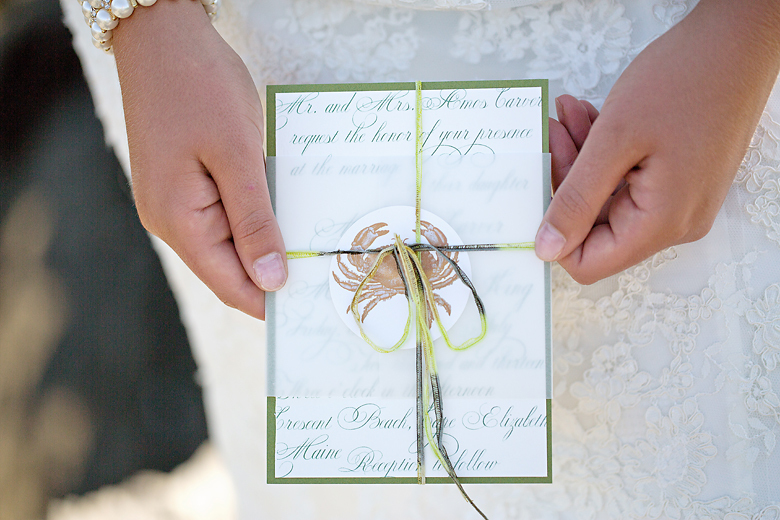 Place cards displayed in gold flower frogs, feature corresponding sea creatures. Air plants nestled in sea urchins at each place setting is the finishing touch. The invitation suite, ceremony program, and dinner menu give the sense of Old World with calligraphy font and a sense of whimsy with the sea creature motifs carrying over from the tablescape. A color palette of green and gold complement the Maine nautical vernacular with a bit of formality. Best wishes for the newlyweds are placed in a bottle for safe keeping. The cake with its pretty ruffles in shades of blue and gold chain accents, looks royal displayed on a vintage trunk.